Short 20 min long guest mix for Annie Mac‘s Radio 1 show by Disclosure. Former Radio 1 and 1Xtra DJ Bailey has been at the forefront of Drum and Bass for what seems like an eternity. Always one to push new music, he has championed some of the biggest names in the business from early on, as well as being resident DJ for Goldie's legendary label Metalheadz for years. He has also had releases on such labels as C.I.A, Roni Size's Full Cycle and many more. And ahead of his appearance at Planet V this Saturday alongside DnB royalty LTJ Bukem, Artificial Intelligence and Bladerunner, we've managed to get hold of this exclusive mix. Bailey's DJ Mixes archive on doddiblog. Don't forget to check out Marky's huge DJ Mixes archive (more than 50 DJ sets) on doddiblog. Latest episode of Random Movement radio show. PennyGiles' DJ Sets archive on doddiblog. 5. Commix - How You Gonna Feel? Marin's DJ Mixes archive on doddiblog. Tom Middleton's DJ Sets archive on doddiblog. 2012 is almost behind us and 2013 is here in a very few days so it's right time to make short recap of best 10 DJ mixes of 2012 - DJ sets that have remained in my memory more than others. I have posted more than 750 mixes from the beginning of 2012, mostly posted in dnb and deep house. 1.) Skream vs Disclosure - Boiler Room DJ Set (14-Nov-2012) - definitely the most successful set of this year on doddiblog in terms of pageviews. Those of you who have somehow missed it - it's a must see (and listen of course)! It has more than 220.000 views on youtube and still counting. 2.) Tom Middleton live @ Nuestra Casa Boat Party, London (16-Jun-2012) - my probably most played mix this year. Top class mix played by one of the biggest electronic music legend. If deep house is your cup of tea don't forget to check out also his Deep Bass House DJ Mix. 3.) Pulsaar - Kmag Guest Mix (16-Apr-2012) - intelligent drum and bass presented by Pulsaar from Switzerland, one of the best dnb mix of 2012. 4.) Rowpieces - Submission DJ Mix (March 2012) - together with Pulsaar the most interesting newcomers of intelligent atmospheric dnb. Great mix from start to finish. 5.) Vincenzo live @ Push, Volar, Hong Kong (27-Jul-2012) - fixed star on doddiblog, I post his sets from the beginning of my blog - there are more than of 20 Vincenzo's mixes on doddiblog. 6.) Tornado Wallace & Francis Inferno Orchestra - Pulse Radio Podcast 104 (10-Dec-2012) - it really have to be a special mix when two of the best Australian deep house producers team up together. 7.) Shifter - SweetCup @ NuSpirit Bar (27-Feb-2012) - excellent deep house mix by Slovakian DJ Shifter which were posted as part of his four mixes which are all of high quality (it's the very first DJ set listed on the page). 8.) Dairmount & Nowakowski - Room With A View's Monthly Show (October 2012) - both are perfect deep house mixes. Dairmount delivers nice showcase of Room With A View label. 9.) Deetron - Essential Mix (17-Nov-2012) - probably the best BBC Radio Essential mix of 2012 together with Dusky's mix. 10.) Alexus - Soulful D&B Podcast (July 2012) - it's always a pleasure to listen to mellow dnb mixes by Alexus. And that's it! The list could go on and on because there were tons of great mixes this year. Hopefully 2013 will be almost as good for new mixes as this year was. Do you have your favourite mixes of 2012? Then feel free to leave your picks in comment section. 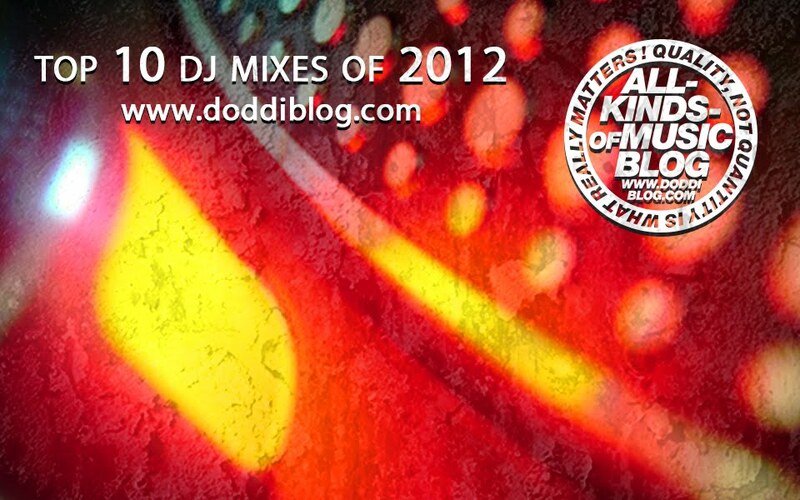 Special thanks goes to all DJs and producers those DJ sets or tracks appears on doddiblog. Do you like the post? Then share it on your favourite social network by using social icons on the bottom of this page please. Phil Tangent delivers a Christmast mix with little bit of dark dnb, little bit of liquid dnb and atmospheric dnb as well. Interesting cross-genre DJ mix of bass music, deep house and liquid dnb by Atlantic Connection. Tim Cant's amazing atmospheric dnb guest mix for Submission Podcast. Faironne's DJ Mix archive on doddiblog. 03. Blueprint – Embrace / Vibration Rec. 05. Rowpieces – Concept Of Love / Fokuz Rec. 06. Intelligent Manners – Go Deep / Fokuz Rec. 08. dRamatic & dbAudio – Days Running Out / Mars Rec. 10. GDS – Prayers / Wyatt Noise Rec. 11. Intelligent Manners & Command Strange Ft. Pouyah – All By Myself / Fokuz Rec. 12. Intelligent Manners & Command Strange Ft. Pouyah – Do It All Night / Fokuz Rec. 13. DJ Clart – Chances / Fokuz Rec. 15. Dynamic – Inner City Love Affair / Fokuz Rec. R.I.S.A's DJ Sets archive on doddiblog. Bryan Jones delivers perfect christmas deep house mix. If you like it you might also want to check out his previous mixes: Bryan Jones - Tracks For Days Mix or Bryan Jones - Butane Mix. Latest episode of Random Movement Radio. Mixmag DJ lab archive on doddiblog. 01 - Flowrian - Chinnamon Garden. 02 - Paul SG - Just A Theory. 03 - Blade & Kyro - Through The Vibez. 04 - Flowrian - Banani Code. 05 - Marky & Spy - Atlantis Remix. 06 - Paul T - Beautiful Girl. 07 - Kyro & Deeperconnection - Your the one. 08 - Blade - The Spot. 10 - Furney - 1955. 12 - Jrumhand & Tidal - Vanished. 13 - Peshay - Music Remix. DJ Sets archive of DJ CoNsPiRe on doddiblog. No tracklist available at the moment. If you like the mix definitely check out Skream b2b Disclosure @ Boiler Room, one of the most popular mix ever posted on doddiblog. Way Back In 2000 Cadence Recordings released ‘Different Perspective’ mixed by Aural Imbalance which brought together many TQ based collaborations as well as originals from the man himself on one album, this received a fantastic response from the Drum and Bass scene with excellent reviews in the music press. Latest liquid dnb mix by DJ Gauge. If you like it you should also check out his B&B Radio Mix or Meltdown Podcast guest mix. Shifter's DJ mix archive on doddiblog. If you like the mix also check out Meltdown Podcast #003 mixed by DJ Gauge. I know there are already tons of similar mixes like this one on doddiblog from Good Looking Records' and LTJ Bukem's golden atmospheric dnb era but I will never have enough of mixes like this. I still hope GLO once fully restarts again and it will be releasing new stuff again. There are some good signs of relaunch like new Good Looking store (vinyl, cds, tapes only). Dirt Crew's DJ Mixes archive on doddiblog. Nowakowski's DJ Mixes on doddiblog. If you like the mix you can also check out Baaz's DJ mix for Melbourne Podcast. You can see timed tracklist on the soundcloud page of the mix. You gotta love this deep house mix by Raoul Belmans of Swirl People. Right before the end of the year 2012 on December 20th I finished recording this mix at exactly 20h12. Wow, now that's what I call a coincidence! Happy holidays to everyone & I hope you enjoy this last mix of the year. New R.I.S.A's December Movement mix. Paul SG's guest mix for Addiction Digital Podcast including lots of forthcoming stuff from Jazzsticks Records. Hauke Freer of Session Victim and his guest mix for Muhk Podcast. This week we have another housetastic love making mix from Session Victim’s Hauke Freer. When he is not producing, Hauke is also running Retreat Records with label mate Quarion. Thanks Hauke for the short but sweet mix. A good guy who loves his house. It's been a long time since I've uploaded new episode of Random Movement radio show but finally somebody uploaded the show from December 12th. Enjoy! 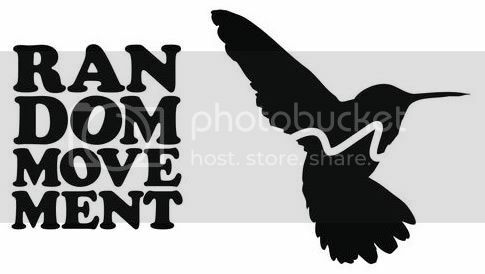 Random Movement DJ mixes archive on doddiblog. DJ Essef DJ mix archive. Fred Everything DJ Mix archive. And another one by Ian Pooley. Marc Romboy vs KiNK - ? What a mix by the mighty legend from Germany - Ian Pooley. Audio Tonic DJ mixes archive on doddiblog. Check out other storejam.com guest mixes on doddiblog. More storejam.com guest mixes on doddiblog. Also check out other guest mixes for StoreJam.com. DJ Sets archive of mSdoS. Archive of PBR Streetgang's DJ sets on doddiblog. Session Victim DJ Mix archive on doddiblog. Archive of DJ Mixes by Tobestar & Sinnamix.